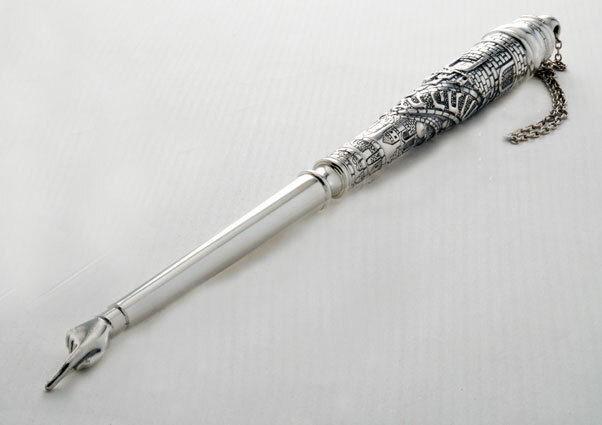 Intricately designed by talented artisans, this extra long sterling silver (Electrofoam filled) yad (Torah pointer) is crafted from 925 sterling silver in Israel by Hazorfim. The base is simple but elegant, and top is decorated with fine details including Hebrew letters and the Kotel (Wailing) wall. 12" Long.